Don't lose sleep over bed bugs. A good inspection is critical to have a good treatment. The first thing we need to do is figure out what is going on. Is this bed bugs or something else? 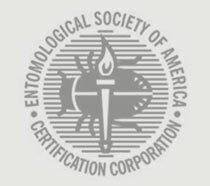 Where do we have bed bugs? How severe is the infestation? Are there any things that will make treatment difficult? What is the best treatment option for this situation? The first thing we do is perform a thorough visual inspection of the space. Visual inspections performed by a bed bug expert are very effective. These inspections are carried out by trained professionals who see what others overlook. Bed bugs are cryptic and sometimes very difficult to find, but by understanding bed bug biology and having a trained eye we can locate bed bugs with incredible accuracy. We also have bed bug dogs that come in after our visual bed bug inspection and sniff the space for bed bugs. The dogs can sniff out bed bugs in places that are very difficult to find visually like wall voids, cracks and crevices. These dogs are another tool to help us find bed bugs. By using visual bed bug inspection combined with our dogs we can get the best results possible. Fight back against bed bugs. Contact Thorn. 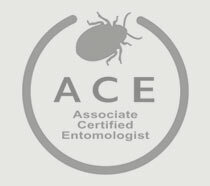 We have team members that are specialized in just bed bug inspections. That is their only job. By only focusing on bed bugs we have found that they can get much better results. After the inspection, we can then begin to assess the situation and discuss with you options and design a plan of action. We are not a one size fits all bed bug company. Different situations require different treatment strategies. Every treatment program has pros and cons and we are here to help you get the best treatment for your situation. Visual confirmation if dog alerts to bed bugs. We will show you a bed bug. We can give you custom pricing for any larger inspections.